Organic flat beans. Fresh, snappy and succulent. To squeak or not to squeak? 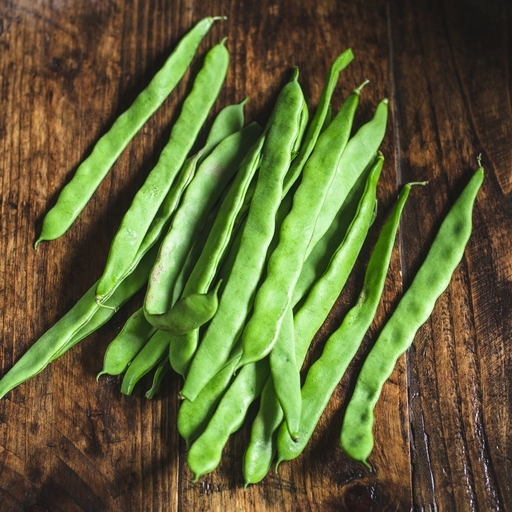 However well done you like your beans, they’re an easy way to add sweet greenery to any plate. Slice into bite-sized chunks (no de-stringing needed). Steam or boil in salted water until they’re how you like them (4-8 mins), then toss with butter or oil, add to a salad or smother in rich tomato sauce. They’re just as good – richer but less bright green – braised or slow-roasted with olive oil, chopped onion and garlic. Keep in their bag in the salad drawer of the fridge, where they should last up to a week before losing their snap.